Place dates in the food processor or high-speed blender and process until they have broken up and come together into a ball. 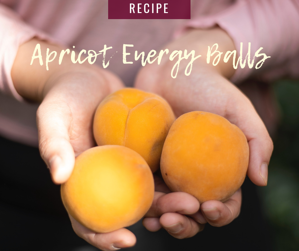 Break up date ball with hands and add in apricots, coconut, sunflower seeds, cinnamon and tahini. Process for several minutes, scrapping down the sides as needed. Process until mixture comes back together into a ball. Remove mixture from the food processor and roll into golf-ball sized balls.